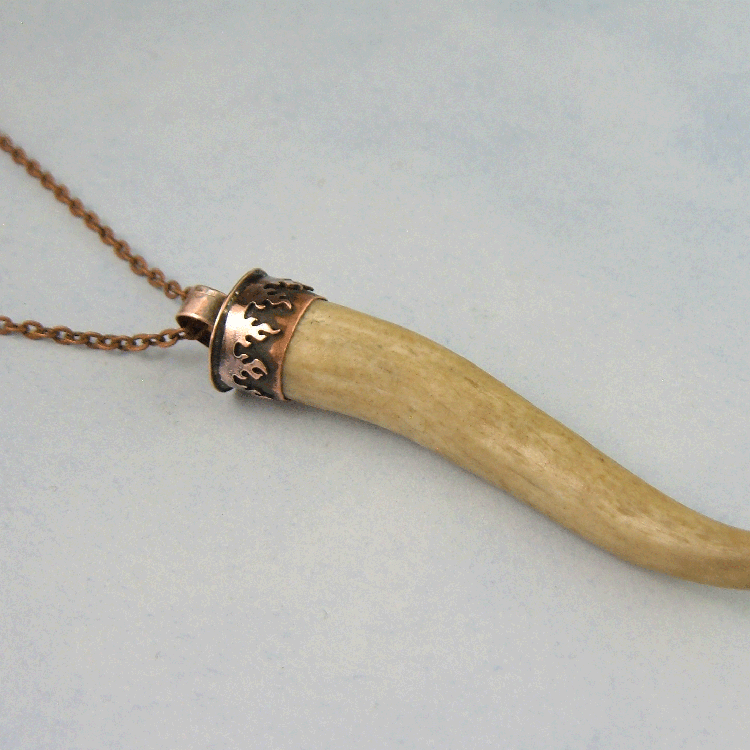 Antler encased in copper flames. 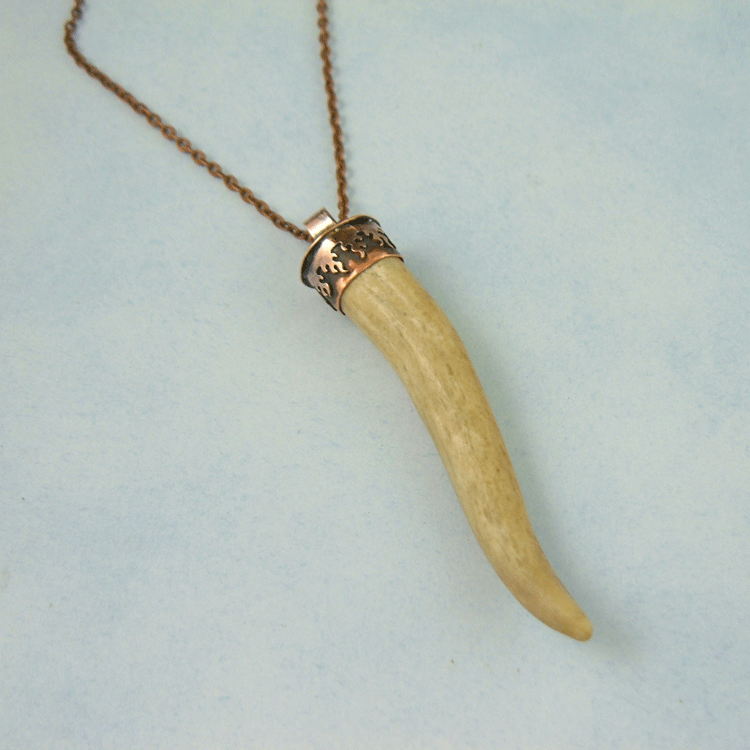 This naturally shed deer antler necklace may be worn on a variety of chain sizes or leather lace. Wear it layered with several chains or beaded necklaces. 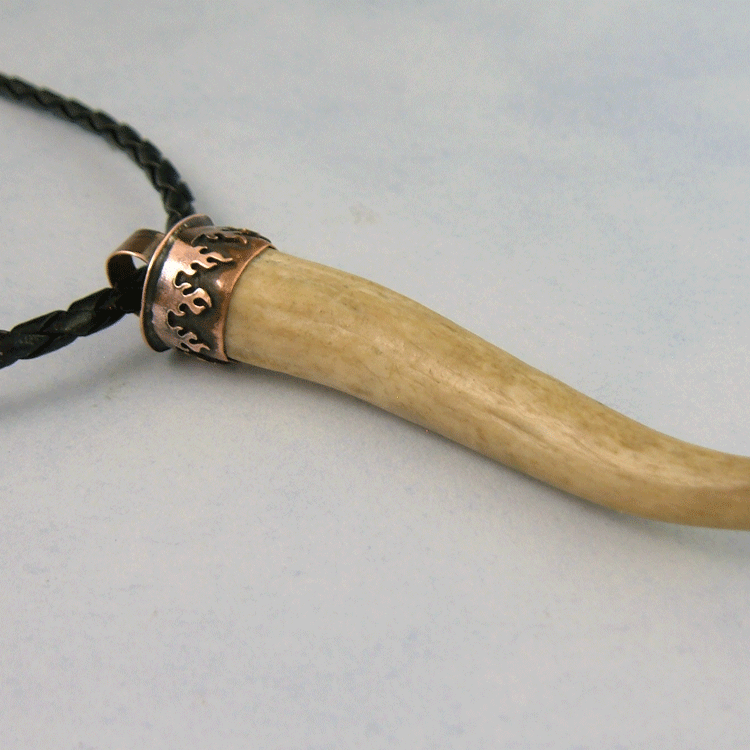 A pendant designed to be worn by men or women. 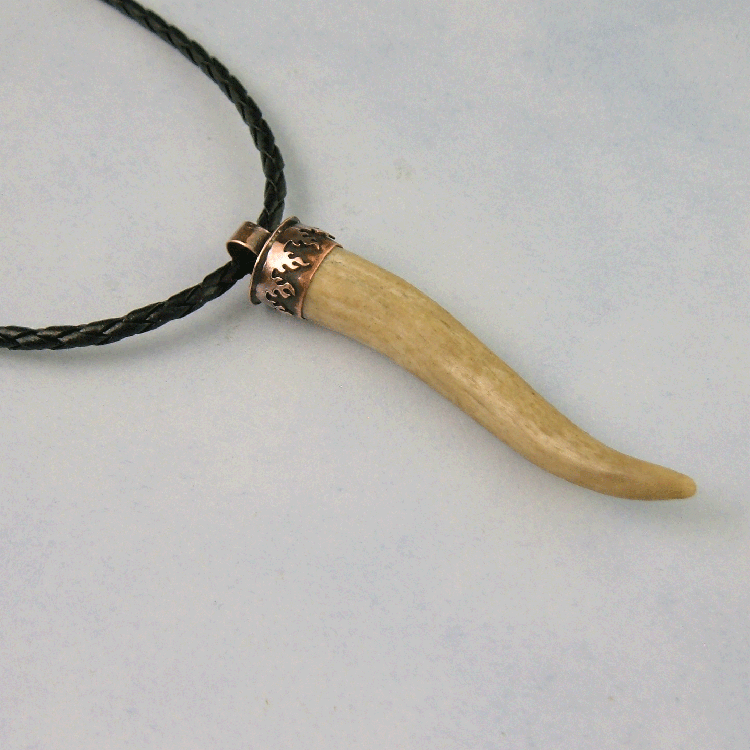 Men, it looks flawless on a simple deerskin leather lace cord worn on the neck hollow. Women, we can wear it in dozens of ways, as a choker or long. 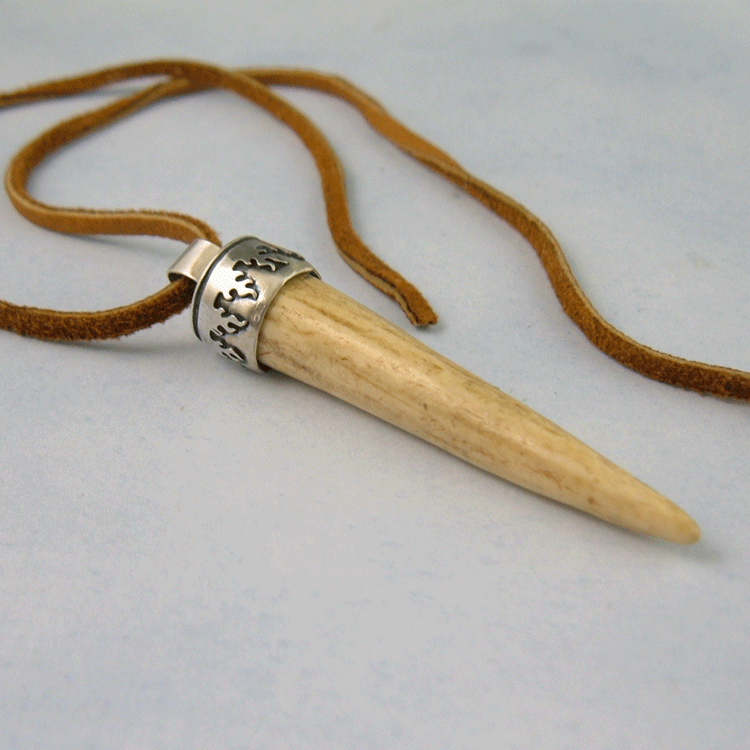 A simple yet unique design, handcrafted for you to enjoy for years to come. How will you wear your's?